Autistic students may face additional challenges when taking exams, such as sensory overload. 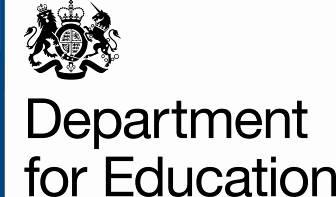 Having recognised these challenges, the DfE commissioned the Autism Education Trust (AET) to develop guidance around accommodations (please see related links) to help teachers and exam officers support autistic students to demonstrate fully their knowledge and skills in qualifications. The guide was written specifically to support autistic students being entered for GCSEs, but the principles and good practice examples can be applied to all public examinations. The Joint Council for Qualifications (JCQ) publishes requirements for the most common access arrangements for GCSEs. Access arrangements include reasonable adjustments that are needed to make exams accessible for candidates who have disabilities. A reasonable adjustment may be unique to that individual and may not be included in the JCQ’s list of available access arrangements. In order to prepare autistic students for taking exams, teachers should be familiar with the exam content and formatting so that they can provide individualised guidance and support. It is good practice to make use of any available previous papers and practice material. Local Offer Details Print Is this information correct?